The Irish Renaissance of the late 19th and early 20th century saw a revival of Irish arts and culture influenced by prominent intellectuals like W.B. Yeats, Lady Augusta Gregory, AE, J.M. Synge, and Katharine Tynan. 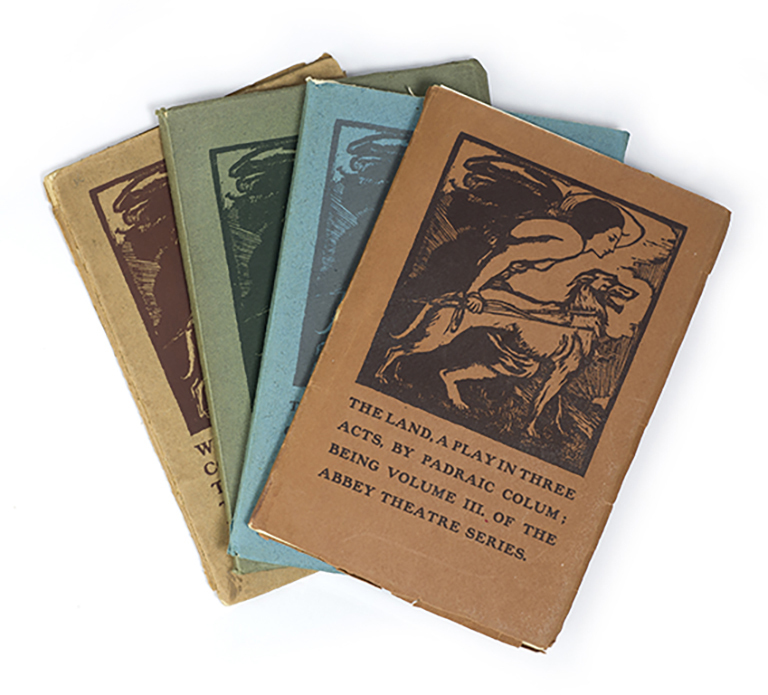 Explore imprints from the Dun Emer/Cuala Press, plays and periodicals from the Irish Literary Theatre and Abbey Theatre, and books printed in Gaelic in this new exhibition. Pamphlets and books related to the 1916 Easter Rising are also on display revealing the link between the literary and the political in turn of the century Ireland.